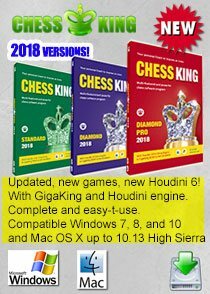 Henrique Costa Mecking, the Brazilian chess genius better known as Mequinho has returned to the chessboard after a miraculous victory over a debilitating disease like myasthenia gravis - which affects the nervous system and muscles. When Mecking was at his peak, Bobby Fischer had already quit and some had even said that he was the "next Fischer". We wish him a very happy 59th birthday on January 23, 2011. We found this fantastic article on Mequinho and interview with Radio Xadrez. The Pelé of Chess returned to the chessboard in 1991. He has been on a remarkable journey of great chess play ever since. 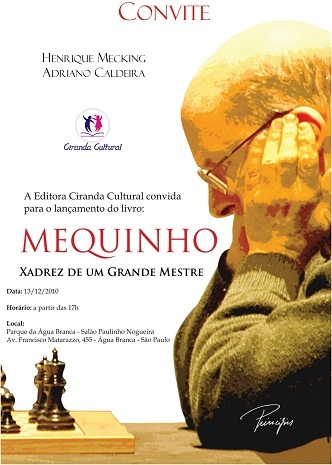 Mequinho used to play on Internet Chess Club (ICC), with the nickname Lorenzo - the name of a Catholic saint, of whom he is a devotee - being the top-ranked for more than 10 times. However, he avoids commenting on the subject. Here are some excerpts from the full article and interview. There are some videos for you to enjoy. Rádio Xadrez (Radio Chess) is a podcast of Blog Vida em Miniatura, in Portuguese with translations in English and Spanish. Rádio Xadrez - How is your daily routine nowadays? Henrique Mecking - As many people already know, I had a very serious disease, 33 years ago, and I'm almost cured. Nowadays I do simultaneous exhibitions, lectures and also teach, apart of playing international tournaments or rapid tournaments. Also, I run and practice the karate alone. Summing up, I have been preparing myself in chess. Few days ago, I launched a book about my best games [Henrique Mecking - The Chess of a Grandmaster] and this book will be sought by Brazilian chess players and will be published in other languages also. My first book, 'How Jesus Christ saved my life', is already in its sixth edition in Brazil and was published in the Romanian language. In the last five matches I played against Grandmasters, I didn't lose any, won three and drew two. Rádio Xadrez - About the beginning of your career, when Brazil was under a dictatorial regime and you had the support of the government at the time, did you have the political conscience of this? 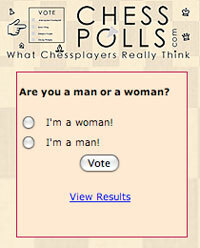 HM - Well, to begin answering this question, I loved chess. I had 18 years old, studying physics in college and invitations for tournaments came. I saw Grandmasters playing and I was eager to give up college, because I preferred chess rather than physics. Chess at that time was less developed in Brazil. So, there was no chance of my being exceptional in chess at that time. And I didn't live in São Paulo, where there is, naturally, the greatest economic potential of the country. Then, there were no practical chances for me to dedicate entirely to chess unless I had the support of someone strong. So he [Brazil's President at the time - General Médici] gave me all the support to play chess, because he liked the sport very much. Rádio Xadrez - In 2010 Chess Olympiad the Brazilian team had a very expressive result. Weren't you willing to be part of that team? HM - Yes, but it was not possible for me to play. I have a plan for my life and nothing makes me deviate from this plan. To any invitation I have, I pray, and ask Jesus for an answer, acting according to the orientation he gives me. Rádio Xadrez - What plan is it? HM - I will be again one of the best players in the world. To God, everything is possible. Most people think I won't make it. The cure Jesus is giving me is progressive and I'm almost fine. 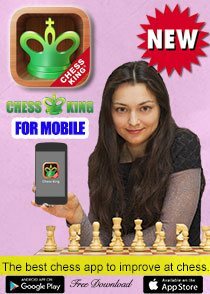 In 1979, I was almost dying, couldn't chew, just ate liquid food, didn't have the power even to brush my teeth anymore, and today I'm almost cured and returning to chess. I'm 58 years old and, only by myself, I would never have the conditions to reach this level again. My age is only 10% of the obstacle. The rest of the disease I still have corresponds to 90% of reaching my goal. However, as soon as I'm totally cured, I believe I will be back on top. My rating will go up slowly and my strength of play will highly increase also. Rádio Xadrez - When you talk about being again one of the best players in the world, you mean playing at the level of players such as Carlsen, Kramnik and Topalov? HM - Exactly. I was the third best player of the world. Many times, God wants to do thing no one believes, just for people to see that it was God that made it. HM - No, wait a minute. Korchnoi is 21 years older than me, so this comparison doesn't exist. Six years ago, more or less, Korchnoi still managed to win international tournaments and played some brilliant games, but he is 21 years older than me. Rádio Xadrez - Your first return, in the South-American Zone Tournament, in 1993, wasn't as satisfactory as you wished? HM - There was still some crisis from the disease at the time, as there still is today, but today's crisis are much weaker. The medicines I took were not enough to play, I was lost in almost every game. I lost 35 ELO points in that tournament, I couldn't play chess. I should have lost 50 points, there were three games that I would lose and, after perseveringly praying, Jesus saved me and I managed to draw. They were against Oscar Panno (ARG), Herman van Riemsdijk (BRA) and Jorge Egger (CHI). Rádio Xadrez - World's number 1 nowadays, Magnus Carlsen, has been playing very well. Are you going to overcome him? HM - I'm not talking about Carlsen, Kramnik, Bareev or Vitiugov. I'm talking about everything as a whole. I'm a chess player committed with religion, I try to enhance my level in chess and look for holiness in religion. Chess must help religion and religion must help chess, they walk together. Rádio Xadrez - What do you feel when you lose? HM - A friend of mine said that there is a GM who suffers more than me when he loses, I was very happy to know that, I thought I was the one who suffered most. My desire is to switch off from everything, I don't want to think about the game, but many times I wake up thinking in the middle of the night, because I prepared for too much time and everything went wrong, I thought I would win the game and lost. There was an Argentine GM who said 'when someone takes a piece of mine is just as if someone stick a knife in my belly'. It's painful to do all that planning when nothing goes right. Rádio Xadrez - Is there a special game for you? HM - Right away, the three times I beat former world champions. Once I beat Mikhail Tahl and twice Vassily Smyslov (one with the white pieces and the other with black). Others I could say: the one which I beat GM Sergei Fedorchuk (UKR), that gave me the title of Lodi tournament, in Italy (2006); the game I won, with black, in 1976's Interzonal tournament, in Phillipines, against GM Vitaly Tseshkovsky (URS) – this game decided the places of the Interzonal. Rádio Xadrez - Is it true a story that people tell about you that, some time ago, when your opponent said "I offer a draw", you answered "I propose you resign"? HM - Yes, this was back in 1965, when I was 13 years old. 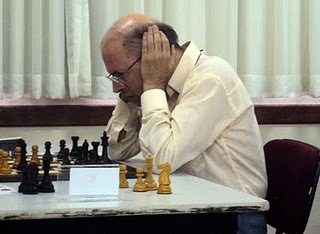 The opponent was the experienced player Olício Gadia, who was Brazilian Champion twice. The game had been suspended and he offered me a draw, but I think he was just making a joke, because he was already lost. Then I told him: 'I propose that you resign'. He really resigned. The papers of that time, in Rio de Janeiro, posted a photo of ours in the cover, with the phrase "David beats Goliah". HM - Once, someone told me that entered in a chess club in Moscow and saw Petrosian showing his three games that he had outplayed me. I don't remember and don't want to remember, because things like there I prefer to forget. But someone told me he was saying that I left weaknesses in the white or black squares, I don't remember now. In one of these games, I refused to take the draw, because I had white and I wanted to win. In the fourth time I played against him, I had black and was already a Grandmaster, in 1975, and then I had a better position but got the draw. Rádio Xadrez - Will you be the third place in world rankings one more time? HM - Quite so. I hope that it will be a bit more. Everything is possible to God. What disturb my chess performance are my age and my disease. I asked to Jesus, many times, that he took off 15 years of my age and, nowadays, I ask something a little more difficult. Normally, when I shave, people give me much less years than I actually have. I believe Jesus will give me a worldwide evangelization mission and, to accomplish my task, it would be better that I was one of the best chess players in the world or even the better. And I'm waiting for it, my cure will come soon. Rádio Xadrez - How old people say you are? 35? HM - No! Not 35. I'm 58 years old and generally people give me about 43. Fifteen years less than I have, when I'm shaved. Rádio Xadrez - What were your best results after you came back to the boards? HM - At the Bled Olympiad, in Slovenia (2002), I won five games and drew three. Afterwards, in 2006, I won the Lodi tournament, in Italy, playing against four very strong Grandmasters: GM Evgeny Postny (ISR), GM Sergei Fedorchuk (UKR), GM Levente Vajda (ROM) and GM Constantin Lupulescu (ROM). I scored 3,5 points against them. Rádio Xadrez - You were also Brazilian blitz champion on ICC. 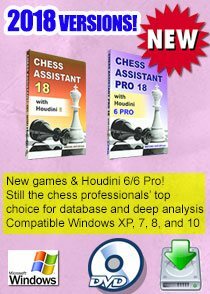 We know you play very well on that modality, have you beaten any top player on the site? HM - When you ask any GM about ICC, they don't usually like to answer, because some have secret accounts and others don't. So I would like to not comment on that. Rádio Xadrez - Which upcoming tournaments will you play to demonstrate that strength you intent to achieve? HM - I'm not completely great yet, it will be something for the future, for when God wants it to be. I have a plan and that plan is to be completely cured first. I'm extremely busy preparing for Memorial Antonio Rocha, in Campinas, Brazil, and also doing simuls and releasing my book. I've been studying very hard, mas I have other stuff to do here where I live, like renewing my driver's license, which will expire at the end of the month, and other things I can't get away from. 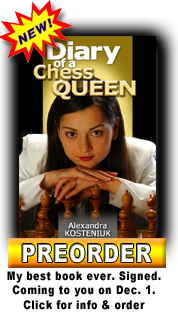 Rádio Xadrez - Do you buy books about chess or is your collections already complete? HM - We always have to use books or internet to see the best games. 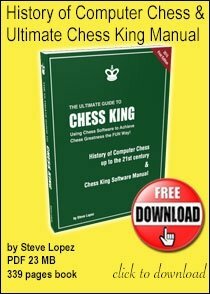 The book that I just published is very good and I think that it will be useful to GM's, MI's, medium-level players and beginners. There's a lot of good games on it, it's everything there. Rádio Xadrez - Do you follow international competitions? Do you watch the greatest players' games? HM - Of course, otherwise I wouldn't be able to play openings, middle games and endings. I'm really anxious, waiting for my recovery, and after that happens, it will be calmer to play. In 1970, I was a strong opponent, beat GM's game after game, and rarely lost, thanks goodness, because I hate losing. If I could get to that level again, it would be a God's blessing. The defeats will be rare. Rádio Xadrez - Who is the best player in the world? Which one do you enjoy watching playing? HM - I'm not the type that admires players. Any player with a style similar to Kasparov's is good in my opinion. Petrosian's style is not my type. Rádio Xadrez - Why do people say women are not as good players as men? Why is there no woman at the world-wide top-100 rating? HM - Because there is a bigger number of male players than female in all the countries. HM - Yes, but I played badly against the Chinese. The game was good for me. There were people that criticized my game, my Spanish Opening. There's nothing to do with it, I was in a good position. I was tired, exhausted, worried about my defeats. I feared losing 25 points and get the last position at the tournament. When the situation is not good, you have to avoid losing points. Rádio Xadrez - A listener sent us a question, about an interview of yours he read in a newspaper, saying you found a way of never losing, just drawing. Is it true? HM - I don't remember this, but this is not possible. When you are playing against a Grandmaster, there is the chance of you losing. It's like being alive with the chance that you die. Rádio Xadrez - So if both players play perfectly, will it be a draw or white outplay black because it has the first move? HM - Of course that if black doesn't make any mistake, it will never lose. Playing with white does not guarantee victory. Rádio Xadrez - You met GMs Levon Aronian (ARM) and Vassily Ivanchuk (UKR) in Holland? 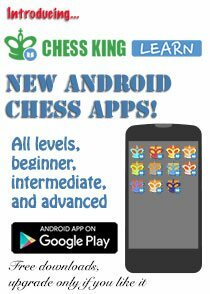 Is it true that Ivanchuk wanted to study chess with you? HM - I talked a lot with Aronian in Holland, he treated me very well. With GM David Navara (CZE) also, we are friends, I send some e-mails to him sometimes. But with Ivanchuk, I already knew him. In this occasion that you mentioned, I was studying a line and he was walking with his second, GM Leon Hoyos (MEX), then I came to greet him, because I am very polite, and he thought that he could talk to me, but he couldn't because I was studying chess. I had a position on the board and I couldn't let him see it, so he couldn't enter in my bedroom. BEAUTIFUL. I would love to see him play at the top. Very humbling. Made me cry.